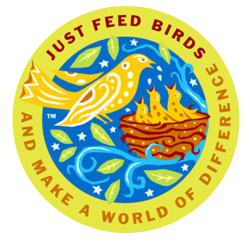 Just Feed Wild Birds and Make a World of Difference. It might be hard to believe that one person feeding wild birds in his or her yard can help restore the balance of nature. The more you feed the birds in winter, the greater number of birds will survive to raise their young. The more you feed the birds during nesting season, the less time the parents will need to stay away from the nest foraging for food. The better the baby birds are fed, the higher their survival rate. 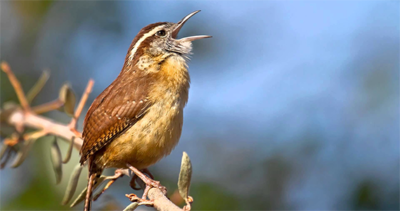 The more baby birds that survive, the more insects they consume. The fewer insects you have, the fewer chemicals you’ll have to use. The fewer chemicals you use, the faster your immediate environment will be brought back into balance. The more that your immediate environment is in balance, the more natural predators of insects you’ll have. The fewer chemicals you use, the healthier you, your children, your pets, your yard and the water supply will be. The healthier the habitat is, the more birds there will be. The more you feed the birds, the sooner all of this will happen. So just feed wild birds. And make a world of difference.